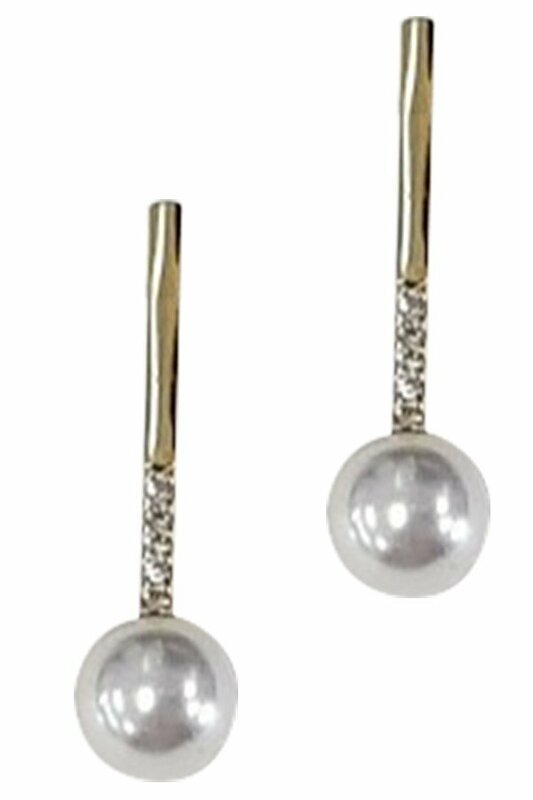 Description: Bar post earrings with rhinestone and pearl accents. Approx. length 1".